The redesigned 2016 Honda Pilot received an overall five-star crash-worthiness rating this week from the National Highway Traffic Safety Administration. The NHTSA is run through the U.S. Department of Transportation and enforces safety performance standards for motor vehicles within the United States. The five-star rating is the highest awarded through the NHTSA, and when you combine this rating with the Top Safety Pick rating from the Insurance Institute for Highway Safety, it makes the 2016 a standout vehicle in the midsize SUV market. The 2016 Pilot received good ratings in all categories with no ratings below 4 stars. The results of these scores are due to Honda’s meticulous attention to the improvement of the Pilot’s structure. When the 2015 model received poor ratings in the small overlap test, Honda decided to focus on improving the body structure for the 2016 model. Honda implemented the Advanced Compatibility Engineering (ACE) body structure. This includes a three-bone under-body frame, the frame functions to improve crash-test performance. 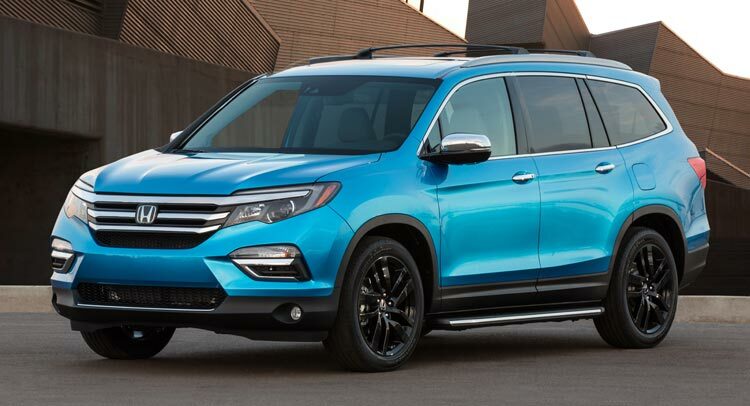 “The 2016 Pilot has set the new benchmark in the midsize SUV segment by achieving both class-leading fuel economy and the industry’s highest safety ratings,” said Jeff Conrad, Honda Division senior vice president and general manager.